Most widgets could benefit from a shiny touchscreen interface. Unfortunately, it's usually not easy to hook up a touchscreen and driving a display is often too taxing on your controller. 4D Systems has solved this problem by creating a series of touchscreens with on-board controllers then combining them with adapters for popular platforms like Raspberry Pi and Arduino! The Raspberry Pi Display Module Pack includes a uLCD-32-PTU 3.2" LCD Display with Resistive Touch, a 4D Pi Adapter and 5 way interface cable. 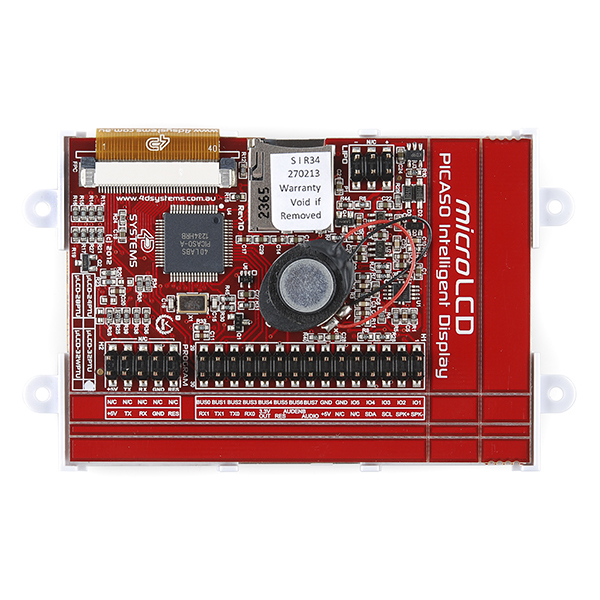 It customizes the uLCD-32-PTU Display specifically for interfacing with the Raspberry Pi, to provide a quick and easy interface without any wiring hassles. The RPi Display Kit lets you quickly connect the 4D Pi Adapter Shield to your Raspberry Pi, connect the 5 way cable between the Adapter and the Display Module, and be connected in seconds to start programming. There's even a comprehensive library written to communicate with the Raspberry Pi, allowing Visi-Genie (A serial-based interface design tool) events to be easily understood by the Raspberry Pi and user code. Like the other displays from 4D Systems you will need a USB Serial adapter to program this module. Unfortunately, our FTDI Basic Breakout won't work. Check the Recommended Items section below for 4D Systems' µUSB-PA5. 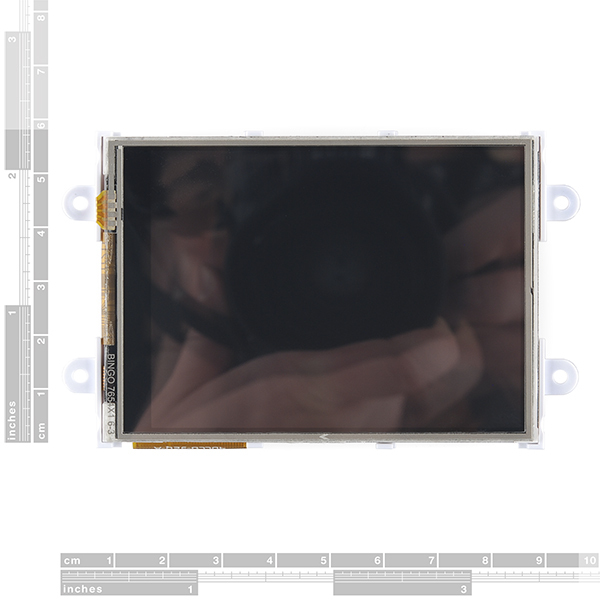 Note: This is not a monitor for the Raspberry Pi, it is an LCD module that requires programming. Could Sparkfun offer a real live honest to goodness touchscreen only for the RPi (DSI based) rather than this 4d systems visi-genie crap. I can understand it for the arduino platform.... but the RPi is a full arm platform complete with an on-board interface to drive a full lcd. The title is somewhat misleading as to what this display really is. Yeah, it seems really silly to talk about how the display "takes a lot of the load off the controller" and prevent you from having to do "the hard work of programming and maintaining a user interface" when we're dealing with a hardware platform that already incorporates a very capable display controller, and has an abundance of software available for using that interface. It would actually be harder to use this thing with RPi because all that readily-available Linux software wouldn't work with it unless you wrote an X driver to address the screen - and then it would be slow. Sadly, though, from what I've seen there's not a lot of great options for a small, inexpensive display for the RPi. Most people seem to use little TV-type displays connected to the composite output. A few use HDMI with an intermediate board to interface it to an LVDS laptop display. AFAIK the DSI interface isn't really usable because driver info isn't available. Quite honestly I'm really sad to see Sparkfun Choose the RPi platform over the beagle bone black. The black costs less, is more open, and offers more options for expansion. It is what it is though. I've come to realize that no there are not many good display options for RPi but how about offering a touchscreen spi display then. there's decent framebuffer drivers under linux for those that work equally well with the pi and beagle, though guess who wrote the driver - yea, it was TI, gasp! not like broadcom would open up to the community really we do need a DSI driver for the pi, that would largely resolve things, but this display for the pi is just way overkill and an expensive excess. It's not that we've chosen one over the other. Every platform has it strengths and we work to provide as many options as possible to our community. We like the Black a lot and would love to carry it, but we are currently having procurement issues with Ti that make it difficult from a business perspective to offer it on our storefront. We're in negotiations with them and hope that this situation improves in the future. 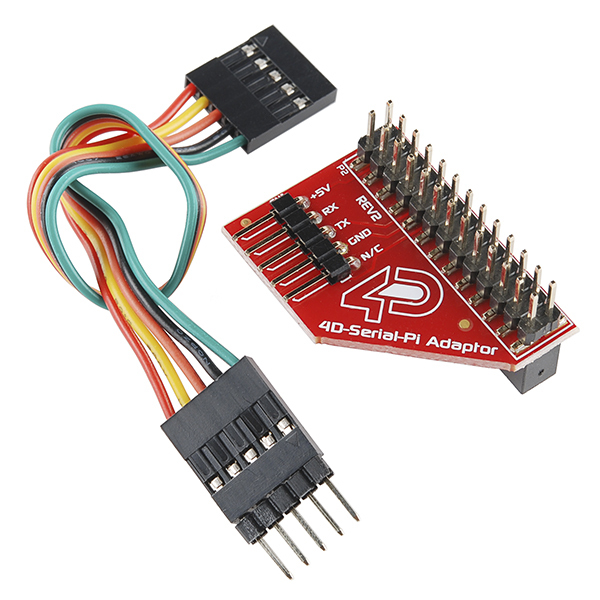 Stupid question: why not include adapters for both Arduino and Raspberry Pi? Or is there a deluxe version I have not seen yet? Ok, so the company was arrogant enough to put a "warranty void if removed" sticker on this, but then in the datasheet, they claim no warranties whatsoever. Which is it? Do they even know who their target market is? We make, we hack, we VOID WARRANTIES! The adapter has no current draw (passive device), the display datasheet notes a typical current draw of 155mA at 5V, but notes that it "heavily depends on screen usage conditions, sleep mode". These displays work off of Workshop4IDE. Will they not display a regular UI like linux or windows7? Or do they only work using I/O Visi-Genie. Other that the adapter, both LCDs are the same right? Resolution: 240 x 320 for the uLCD-32-PTU by the way.